I've got a few more reading challenges I wanted to sign up for this year, and they're all kid book related. I have a toddler and a baby, so I read tons of picture books. And I love reading middle grade just for fun for myself, so these challenges are right up my alley! Well, you had to know this one was coming, since I'm the one who hosts this challenge! It helps me work on my long-term goal of reading all of the Newbery winners (and ideally all of the Honor books, too). I'm signing up for the Avi level, which means I need at least 45 points. I'm hoping to get through a lot of recent Honor books, since I've been reading more ebooks and audiobooks lately, and my library seems to have a lot of these through the Libby app. There is never a shortage of picture books in my house. Our shelves are full, and we have a constant rotation from the library. This challenge is hosted by Becky's Book Reviews, and she has a couple of options of how to complete it. I'm aiming for two of the checklists. 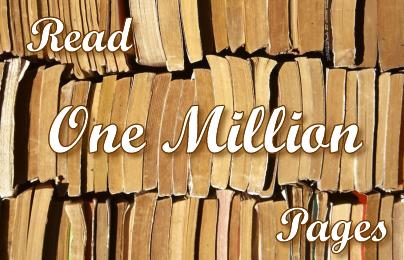 One is to read 4 books each month - something old, something new, something borrowed, and something true. The other checklist I'll work on is an A-Z list, for author, illustrator, and title. So much fun! This challenge is also hosted by Becky's Book Reviews, and it also involves a giant checklist. I love reading middle grade books. It's the most dangerous section for me in a library or a bookstore. I know I won't come anywhere close to finishing this huge list, but I'll get as many checked off as I can! It's a new year! Time to set some goals for myself! However, I am going to be much more laid back this year - or at least, I'm going to try to be. I usually set myself some pretty ambitious goals, but I'm discovering that having two little kids is finally catching up to me. I just don't have the amount of reading time that I used to, especially since their napping schedules don't match anymore. I try to remind myself that this is just for a season of my life and I will soon be reading as much as ever, but it's hard when all I want to do is escape for an hour and read. Someday! So yes, this was also one of my plans last year, and I didn't complete it. I made the bingo card in August 2017 and read 6 books off it by that December. In 2018, I read another 13. That means I have 6 left to go. I'm hoping to read one book a month and have the bingo card completed by the end of June. But if it takes me longer than that, then that's okay! I have a long-term goal to read all of the Newbery winners (and hopefully all of the Honor books). I'm chipping away at this little by little. Each year, I read one decade of winners (this year, I'm reading the 1960s). I read all of the books that win in the current year, which will be announced on January 28 this year. And I read at least one year of Honor books (2013 this year). It'll take me a while, but I'll read them all eventually! For the past two years, I've set myself a goal of having at least 50% of the books I read be ones I own. I achieved that goal both years, but it has been occasionally stressful - especially towards the end of the year when it's coming down to the wire. I'm trying to eliminate stress from my reading this year, but I still want to make sure I'm reading my own books. So I'm aiming for 33% of the books I read being ones I own. That's one book I own for every two library books. That should be doable and pressure-free. And hopefully I can end up with a higher percentage than that! You've probably gotten the gist from the rest of my post, but I'm making this an official goal this year. No pressure to read all the books. No shame for not fulfilling reading challenges. No guilt for taking my time or reading only a couple books a month. My reading time is shorter than ever, which is why I want to be able to enjoy every bit of it! Last January, I posted about my personal goals for my reading in 2018. It's time to look back and see how I did. Finish My Classics Club List - Complete! My five-year deadline was the end of August 2018. I was really hoping to finish my list before my daughter arrived in June. 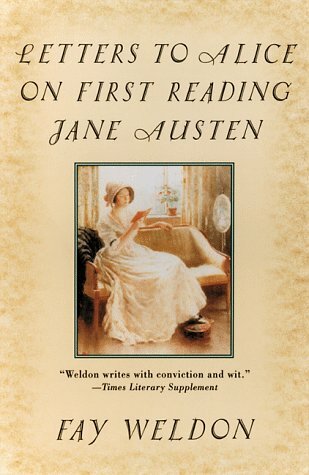 With planning and persistence, I finished my last book (Daniel Deronda by George Eliot) on May 3!! I wrote a post about my Classics Club journey with plenty of fun stats, if you'd like to read more about it. I created my TBR Bingo card in August 2017. At the beginning of 2018, I still had 19 books to read. I made great progress during the year, and I'm now down to 6. Maybe by the end of this year? Read My Own Books - Success! I made a goal that 50% of the books I read would be books I own. I (just barely) succeeded in reaching this goal in 2017, so I knew it was possible. This year, I didn't count audiobooks and ebooks, since the only way I could access those was through my library and that seemed to unfairly tip my number towards library books. So just counting physical books, 52% of the books I read this year were books I owned. Yay! Since we're five days into a new year, I figure I should probably post my wrap-up of my remaining 2018 reading challenges. I was a little disappointed that I didn't quite complete my Mount TBR Challenge. However, the rules of that challenge state that it only includes books bought before January 1, 2018. I read more than my goal of 36 books that I own last year, if I include the ones that I bought during the year. I was pretty pleased that I read 9 books that I bought. It sounds small, but that's a better number for me than normal! So even though I didn't technically complete the Mount TBR Challenge, I think I'm satisfied. Reading challenges are definitely one of the areas where I can overcommit myself. With a new baby arriving in June, I knew when I started this year that I needed to limit the number of reading challenges that I signed up for. It sort of worked. I only signed up for 6, instead of my usual 10+. And I'm happy to report that I did fairly decently! 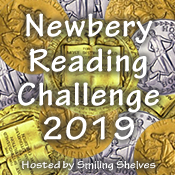 I'm still working on a couple, so here are the first three reading challenges that I completed this year. 54. "Fire! Fire!" said Mrs. McGuire by Bill Martin Jr.
62 Steam Train, Dream Train by Sherri Duskey Rinker & Tom Lichtenheld. 69. The Maestro Plays by Bill Martin Jr.